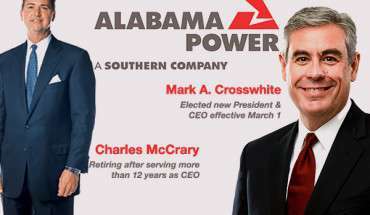 Site Bonus Political Tid Bits Unrelated To Alabama Powerdunn Situation » Mr. Dunn Goes to Montgomery | Who's Behind the Mask? Note: I will occasionally use this space to report items of possible interest to those who follow Alabama politics, but which are unrelated to Alabama Power and the efforts against Terry Dunn. This first tidbit has some grey hairs on it, but I found it mildly interesting and so might you. In October, on a rare trip to Montgomery, I used some spare time to look at a fraction of the “extraordinary filings” available for review at the Alabama Ethics Commission. Such filings include the notifications that must be submitted when officials go on trips funded by groups or companies with business before the state if the daily spending maximum is exceeded. At the time, the limit was an astounding, almost anything goes $250 per day. Most of the “extraordinary filings” are anything but. They’re dull, but show officials and companies following the rules with their reports. One of the more interesting files contained a series of letters between Hugh Evans, the general counsel for the Ethics Commission, and Billy Norrell, the executive director of the Alabama Road Builders Association. The first letter, from Norrell to Evans, clearly came after a discussion or other correspondence between the two. It regarded a three-day trip fishing trip to the Grand Bahamas Island in May 2006 that was paid for by the Road Builders Association. The guests were three Republican legislators: Birmingham-area state senators Jabo Wagoner and Steve French; and Jim Barton, a house member from Mobile. The communications between Evans and Norrell imply that the Ethics Commission learned about the trip from someone other than the legislators or the Road Builders Association. I asked the Ethics Commission if a complaint had been brought but did not receive a response. The totals spent were: $,1945 for Barton; $1,445 for French; and $1,215 for Waggoner. Evans responded a month later with a letter asking Norrell to provide the purpose of the trip. “As a general rule, trips of this nature are limited to the continental United States and Alaska,” he wrote. In the next letter, also from Evans, the Ethics Commission lawyer states that he still has not received a response from his last letter. He noted that “transportation is not allowed in a pure hospitality setting.” In other words, if its a pleasure trip, and not a road builders meeting or a junket with some real or at least pretended educational purpose. “If we do not hear from you, we intend to discuss this matter with the Ethics Commission itself at our October 4th meeting,” concluded Evans. That letter led to a meeting between Norrell and Evans, and a subsequent letter from Norrell explaining that he now understood that the trip, which was social in nature, was “not in conformity with the Commission’s position.” As a result, he had contacted Waggoner, French and Barton and they all agreed to reimburse the Road Builders Association. A subsequent letter provided copies of each lawmaker’s check to the association. For whatever reason, reimbursements was only required for the travel costs. The lawmakers were not required to reimburse the association for cost of the fishing guides and food, and as Norrell stated, there was no room expense because the house in which they stayed was privately owned. Out of curiosity, were you, dear reader, invited on this trip, or have you ever been invited on such a trip by a company or trade association? Deep sea fishing in the Bahamas? I confess that I have not. Last year, Barton resigned in mid-term to become a lobbyist, thus forcing taxpayers to fund an election to fill the spot he’d run for but quit in mid-stream to cash in on the access to mucho mullah that the elected job had provided. French lost his senate seat in the 2010 elections, but is now running for the state house. Lowell Barron, wearing a neck brace in order to look forlorn for possible future jurors, with his lawyer, Joe Espy. 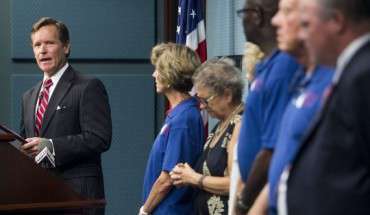 This photo was taken at a press conference following his indictment for alleged misuse of campaign funds. Former state senator Lowell Barron apparently knew well in advance of his April 2013 indictment that trouble was on the way. His campaign finance records show that three months before being charged, Barron’s campaign fund paid $533,536.76 to the Montgomery-based law firm Melton Espy & Williams. Members of the firm, including firm partner Joe Espy, are defending Barron. 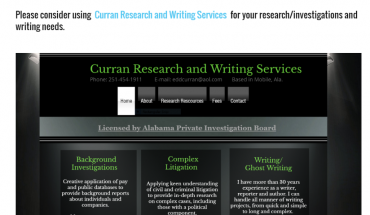 Espy is among the top white collar/public corruption lawyers in Alabama. He successfully defended dog-track owner Milton McGregor against a host of federal criminal charges related to accusations that McGregor tried to bribe lawmakers to pass gaming legislation. If you are on this site, that means you probably follow Alabama politics and know Barron was indicted last year on ethics charges dealing with misuse of campaign funds. Also charged was Jill Johnson, who had been a member of his staff. The Attorney General’s office has alleged that Barron gave Johnson more than $50,000 from his campaign fund, and that she immediately returned/kicked back the money to him. Both have pleaded not guilty and will face trial in April in DeKalb County. Barron, as leader of the senate when the Democrats were in control, was blessed with a substantial sum of leftover campaign funds following his stunning 2010 loss to Republican Shadrack McGill. Politicians, or in any event, those in Alabama, are permitted to pay legal bills with campaign funds if the charges relate in some fashion to their official duties.